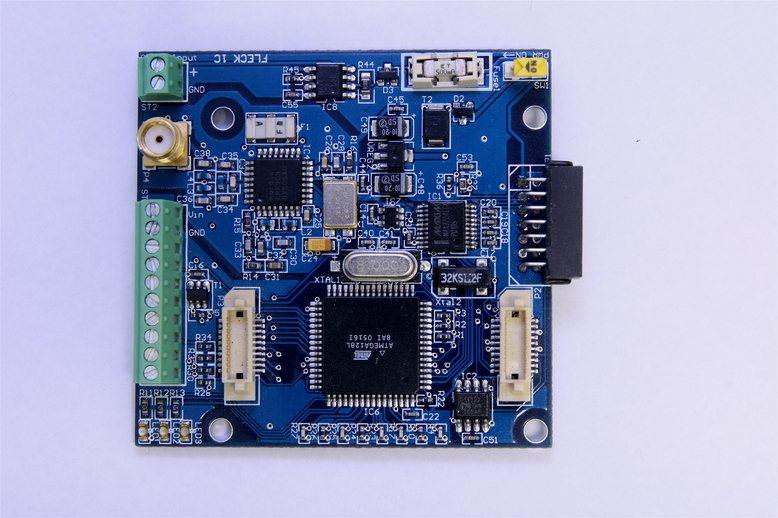 Long-range radio based on 430 and 915MHz radio chips (nRF903 and nRF905) from Nordic Semiconductor. Range over 1000m with a λ/4 whip antenna. The group is particularly focussed on outdoor applications where long range and energy self-sufficiency are critical. Some applications also involve mobility, particularly for tracking animal position. The first generation using Atmega 128 and nRF903 radio. 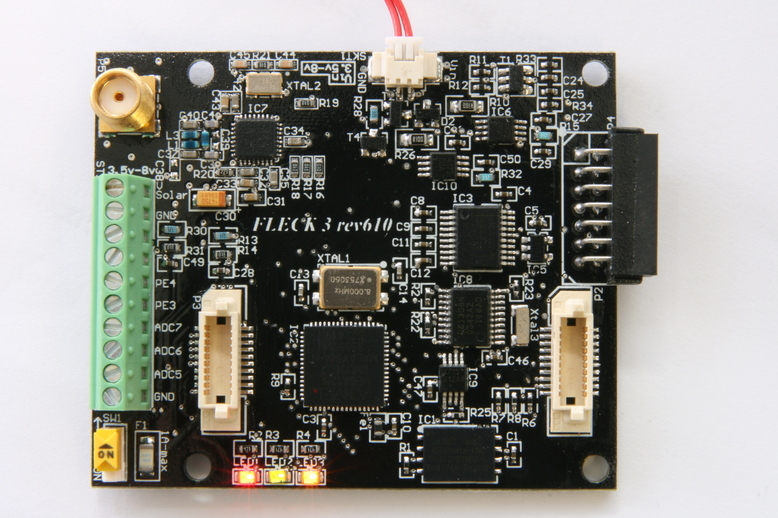 An integrated version of the Fleck1, using Atmega 128 and nRF903 radio, with GPS and inertial sensor in a (large) single board format. 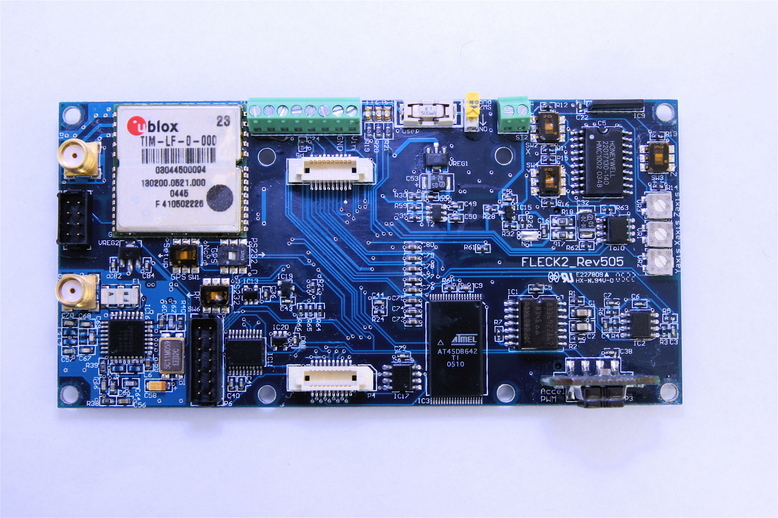 The second generation using Atmega 128 and nRF905 radio. The most significant ones are described in more detail below.